I draw inspiration from many things. A non-vegan recipe I see online, or just walking through the produce department. Or, my favorite, when someone gives me ingredients to play with and make something fabulous. Vivapura was kind enough to send me some of their awesome products to use in my recipes, and I could not wait to create something with them. They sent raw cacao butter, raw cashews, white mulberries, and vanilla coconut cream. So much of my favorite things! So, I thought that they deserved to be used in something beautiful. 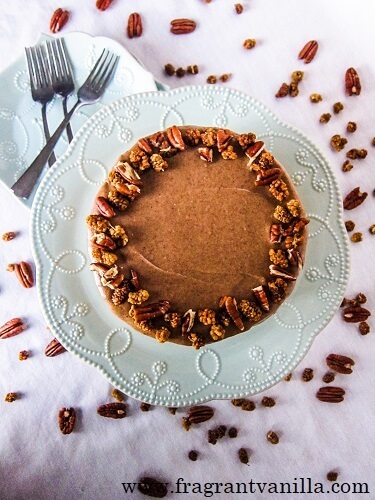 A vegan cheesecake, my all time favorite vegan dessert. 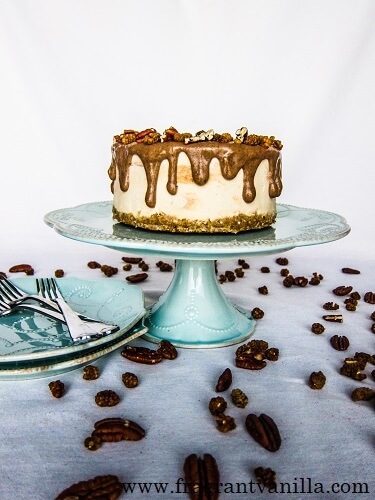 A Vegan White Mulberry Pecan Caramel Cheesecake to be exact! I have made a mulberry caramel before and it was amazing, so I thought why not make it and swirl it into a vanilla white chocolate cheesecake! This is the sort of thing that vanilla lovers like me really appreciate. 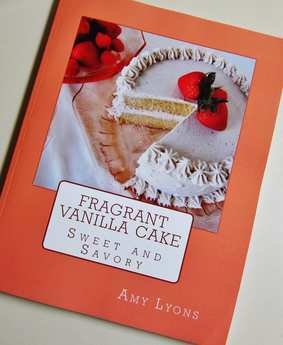 I have been making a lot of chocolate lately, so it is about time I let vanilla steal the show. For the cheesecake base, I used a combination of thick full fat coconut milk and raw soaked cashews. I think that this combination mimics the flavor and texture of regular dairy cheesecake the best. Plus, I had all of those beautiful cashews from Vivapura to use in my dessert! To thicken the filling, I used vanilla coconut cream from Vivapura and melted their melted raw cacao butter. It gave it the most delicious vanilla white chocolate aroma! The filling was rich and delicious even before I poured it into the cake to set up, and I had to keep tasting it because it was so good (the best part of being a dessert maker)! For the caramel, I blended dates and mulberries with some raw pecan butter and it was luscious! 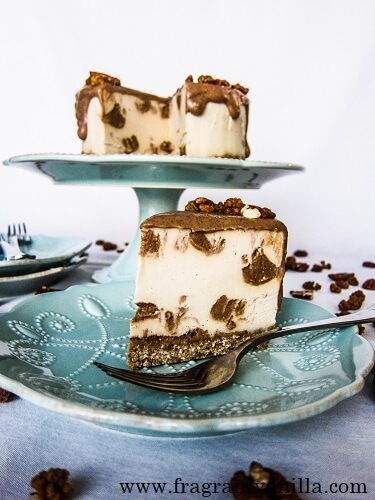 This is the type of stuff you want to pour over your ice cream, but trust me it is wonderful in cheesecake too! It turned out amazing! 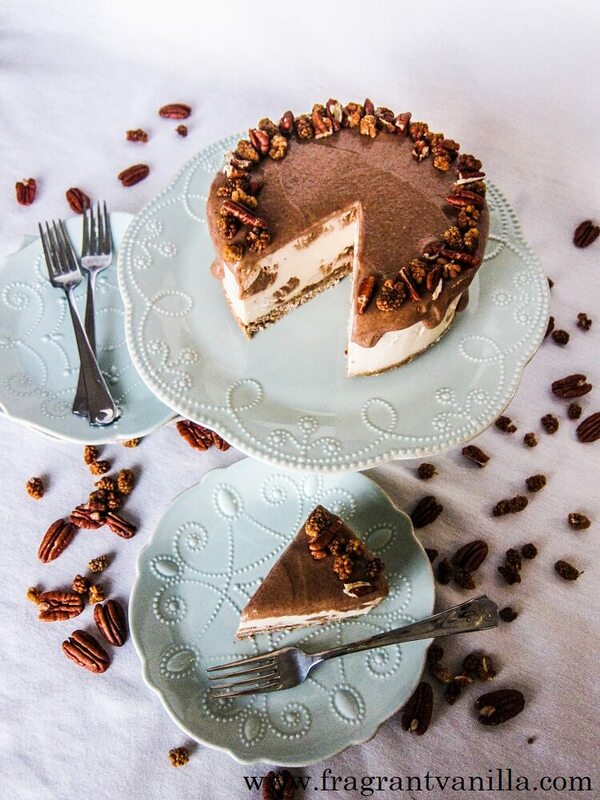 I would never go back to dairy cheesecake ever because vegan cheesecake like this is bomb! The vanilla white chocolate cheesecake was creamy, rich and delicious just like dairy cheesecake only better. The mulberry caramel was the perfect pairing with it, it was simply heavenly! If you would like to enjoy this cake, scroll down for the recipe. And, guess what?! 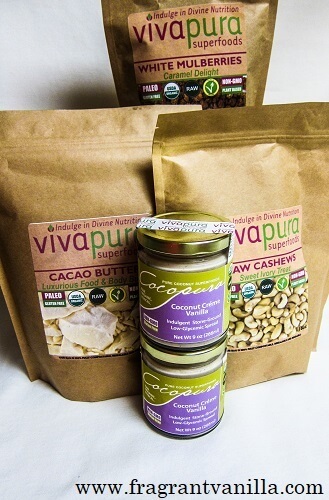 Vivapura is letting me give away to one lucky winner one bag of Raw Cacao Butter! Just think of all of the delicious things you can make with it. And, this is a good sized bag, so you can make several different recipes! If you would like to win a bag for yourself, simply comment on this post! What would you like to make with it if you won it? Giveaway ends February 27th. Also, definitely head over to the Vivapura website and check out all of the goodies that they have! Meanwhile, to make the filling, combine all ingredients but the jam in a high speed blender or food processor and blend until smooth. Set aside. To make the mulberry caramel, place all ingredients in a high speed blender and blend until smooth. If it is too thick, add a little more water. Pour into a bowl. To assemble, pour the 1/3 of filling over the prepared crust, then drop 1/4 cup of the caramel over that by the tsp spreading it out so you have even little circles of it. Swirl with a knife. Pour half the remaining filling over that, then another 1/4 cup of caramel, dropping it in the same manor you did with the last 1/4 cup. Pour the last 1/3 of the filling over that, and repeat with the caramel (you will have extra caramel), swirling it to make the top pretty. 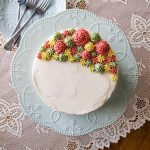 Remove from the freezer, and un-mold the cake. Place it on a plate. Thin out the remaining caramel a little with water so that it will drip easily. Spread the caramel over the top of the cake, allowing it to drip down the sides. Garnish the top of the cake with dried mulberries and pecans. Enjoy! Store any leftover cake in the refrigerator. I would make this cheesecake! I haven't tried Vivapur! yet. It sounds delish! I would make brownies! I would use the Cacao Butter to make a chocolate cake, its my favorite dessert! Mulberries are the BEST! And paired with caramel - what a dream! 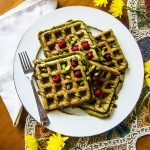 I've never used raw cacao butter before but you can bet I'd be making this is I won! I love mulberries, they are like candy to me! I would make some raw chocolates! Ooooh, looks so decadent. Pretty cool of Viva Pura to send those goodies too! I'm adding this recipe to my must make list. I am a huge cacao butter fan. I use it for homemade chocolate, in my bulletproof hot chocolate and coffee, and then for body butters! I love smelling like chocolate! I love your posts and webpage. It's one of the first blogs I ever followed. But I've been living in very simple housing for years and never had a fridge. Often didn't have an actual kitchen but I always cool anyway. Even if on the veranda. A few weeks ago I came to stay with a friend who has a lovely spacious modern kitchen. 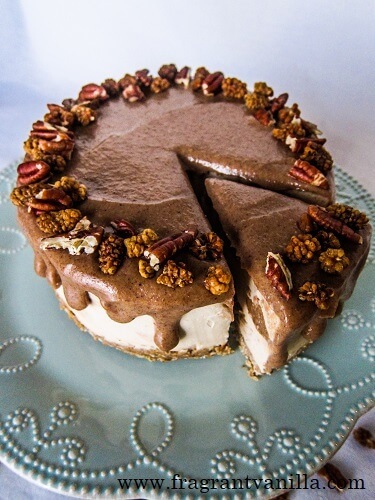 I've been a raw cake fan for longer than I've known what they taste like because of your blog. Then I got quite a few chances to taste them. Now I've made my first one here. It was a slice, due to lack of ingredient quantity. My friend here loved it. I promised her I'll make more. Coincidentally I just ordered some cacao butter on Amazon last night. It's a long time since I had any. Love the stuff. Good vegan fat. Well I guess my plan is to include it in a cake or some chocolates. I also made some chocolates the other day but using carob, dates, coconut powder and coconut oil. They were yummy but I decided I need to add something more. So I guess that's why I bought the cacao butter. I've never seen this brand before. Good to know of it So yes I'd either make cake or chocolates. Oooh I love mulberries and cacao butter!!! 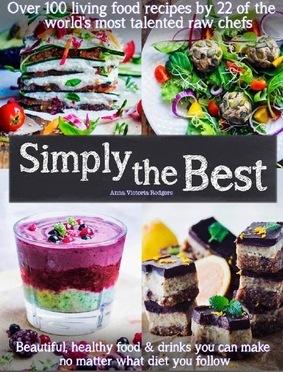 Can't wait to try this recipe!! I,ve never tried cacao butter. I,ve thought of it but just have not gotten around to using it yet. For sure now that I,m thinking of it I would make that chocolate pumpkin pie that I want to make with my last pumpkin, also some really yummy chocolate butternut cookies. So nutrient dense why am I not using it? Contains phenylethylamine which releases really good feelings, relaxes you, anti-aging and good for your skin. I,ve just convinced myself that I need this. If I don,t win I,m buying some. Oh yea, and chocolate puddings that I love, lattes, and a super healthy chocolate ice cream this summer. Congratulations Amy! You have won my giveaway! Look for an e-mail from me shortly :)! this sounds amazing...can't wait to try it...my mouth is watering!